﻿ Do you believe in clouds? Do you believe in clouds? Most of us are familiar with the proverbial “Dark Cloud,” as in, “He has a dark cloud hanging over him.” It basically means bad things are likely to happen in this person’s presence. In medicine, this entity of superstition typically arrives whenever you’re on call. It guarantees that you and anyone unlucky enough to be working with you will have a very difficult and stressful time. The Dark Cloud is at its most powerful in the evening and overnight. Bad fortune typically takes the form of numerous and very ill admissions. However, the failure of vital computer systems, driving your work pro cessing back to 1953 capability; reading room flooding or, as my section experiences, periodic venting of helicopter exhaust fumes into the reading room, are other types of suffering that might be inflicted. We all know many other tortures the Dark Cloud can perpetrate. Your insane work load goes viral, spreading swiftly to those who must interact with you: technologists, consulting physicians, residents, faculty. These people usually come to recognize your foul juju and do what they can, as soon as the call schedule is released, to trade coverage slots to avoid working with you. Since most work associates will know of your curse, they will all hope for a new hire that has yet to hear about or experience the tragedy of working with you. Indeed, the Dark Cloud can make its presence felt incredibly powerfully and immediately by new physicians. I recall a new radiology fellow on his first overnight tour of duty in our trauma center. He had done his residency at a similar center, was appropriately self-confident, and most resourceful and efficient. He looked forward to being challenged by the number and acuity of emergency cases seen at our facility. I bid him goodnight and good luck as I left for the evening and he settled into a seat at his favorite work station. I felt no sense at all that he was doomed. Alas, I happened to be the faculty member who found the poor fellow in the morning. He had the distant stare of post-traumatic stress. He was disheveled with barely coherent speech. He was wide-eyed, displaying spidery dilated red vessels and deep black circles beneath his globes. There was a slight trembling of his hands and lips. Finally, he began to acknowledge his surroundings. “Is this always how it is?” he asked in a shaky voice. I gently escorted him to the coffee shop and got some hot, stimulating liquid and sugary carbs into him. I knew that the 18 poly-trauma patients admitted on his shift were responsible for sending the full-blown, dark black specter to intertwine with his unwitting on-call soul. But I withheld my confident insight, allowing him the enjoyment of some peace before his next call night, when he would—despite even his relative naiveté—suspect the truth. Eventually, whatever dark, supernatural influence was at work in him was eventually sated, and his call coverage became more typical, with even the occasional White Cloud floating by from time to time. I understand he is faring quite well in his current faculty position which, at more than 1,000 miles from Baltimore, was the closest posting he would accept. His marriage even survived with intensive counseling. I dare say an Ultra-White Cloud (I know, sounds like bathroom tissue) protected one resident throughout his four years of training in our program. His call hours were usually placid with plenty of time for casual reading (not medicine!). He usually arrived early at the on-call rooms, mainly snaring private singles and getting four to five hours of sleep most nights. In his entire residency he never had to come in once for an angiography case on call, except for one aortogram he needed to perform on his last night of resident call. Most residents had two, three or even many more cases when covering angiography overnight. I understand he is now the president of his 50-associate group and has a beautiful wife and three gorgeous children who were all Rhodes scholars. The Clouds’ influence can be quite pervasive, indeed. I probably shouldn’t discuss the cloud that has traditionally floated atop my head, but I will say that residents and technologists love when I work with them at night. I never take my cloud for granted, knowing it can be fickle and suddenly switch to the dark side if it senses complacency. Is there any way to alter your Dark Cloud? Probably not. Complaining about it only seems to amplify its zeal. Probably just accepting, even embracing, the foul beast and joking about it with the few friends you still have can create a lighthearted vibe that irritates and weakens it. When it dissipates you can usually sense the relief quickly. But do not show any joy, as it will pounce right back, fully aware of the spirit-crushing blow it can inflict. Just play it cool. The White Cloud abhors a vacuum, and it will settle in like a comfortable, high pressure weather system, bringing easier calls but also scattering a few really instructive cases where you can strut your stuff and save the day. Perhaps, as a person of science and reason, you find the notion of Dark Clouds and White Clouds that control any part of your life just primitive thinking, beyond ridiculous. Fair enough. However, just in case you’re wrong, please do not flaunt your beliefs, especially in the presence of the colleague often found softly crying in the reading room after a night call from Hell. The Dark Cloud loves a challenge, and having spent its existence torturing junior physicians, it knows exactly how best to sock it to you. If you find yourself so afflicted, consider transferring at least 1,000 miles away. Mirvis SE. Do you believe in clouds?. Appl Radiol. 2016;45(3):6-8. 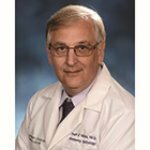 Dr. Mirvis is the Editor-in-Chief of this journal and a Professor of Radiology, Diagnostic Imaging Department, University of Maryland School of Medicine, Baltimore, MD.